Description: Aerial. 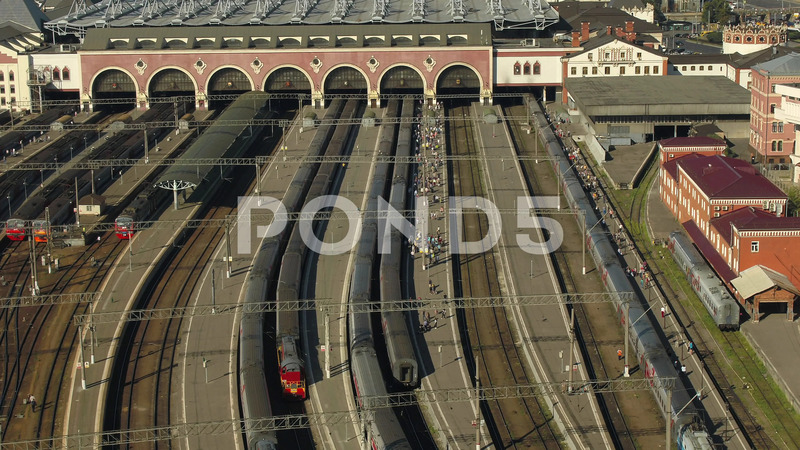 The camera is flying over rows of rails and a railway station building. Dozens of people are getting on trains and rushing to the station building.